Toronto enjoys a very diverse and expansive real estate market today. Toronto has something for everyone and this attraction must be reflected in your real estate website. A website is your first opportunity to attract clientele and a well-designed website is the first step toward this endeavour. Thinkbound Marketing Solutions, a Toronto based service, has the expertise and experience to assist you. 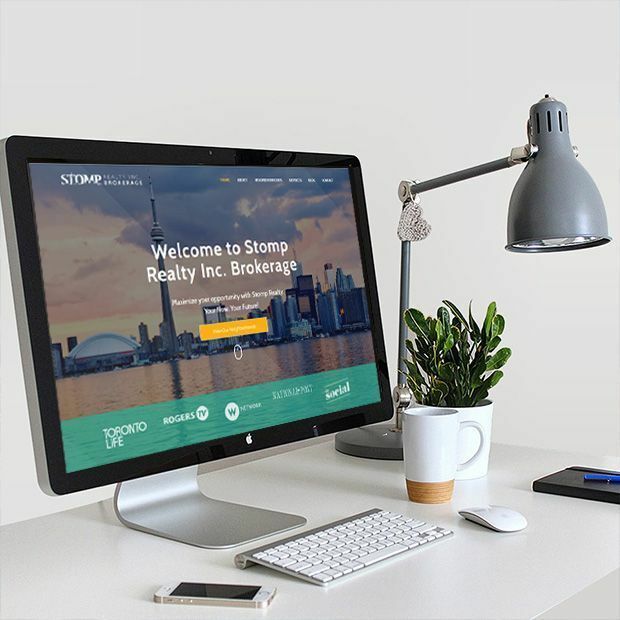 Our professional staff is dedicated to walking you through each step necessary to build a successful, impressive and all-encompassing Toronto Real Estate website. Real estate in Toronto is a fast-paced and highly competitive market. The constant and quick need to buy or sell in the city is what makes it a very challenging business. Unlike a traditional business you do not have stock on hand and your inventory consists in the virtual genre. You are selling the concept of a life style or business without the actual physical construct. You must be able to project a multitude of solutions to a diversely specialized target audience. This is where a website is crucial to promote your “inventory” to those seeking to buy or to sell. You are in the unique situation to help with this life-changing process and offer your services. A real estate website design begins with a clear goal, to attract and retain clientele. Visually attractive layouts that capture your audience’s attention is a first step. A well-designed website detailing your services combined with concise, user-friendly content and navigation are the fundamental keystones of a vibrant business. An interactive and easily accessible website must be available on the many different types of media devices that are available today. In the ever-evolving media climate, technology and progress are mutually dependent and therefore a profound knowledge of leading-edge media technology is compulsory. A website can become stagnant if not maintained with attention to trends, marketing and a working knowledge of your target audience. Therefore, a website should be refreshed and monitored on a regular basis to ensure optimal content and a vibrant appearance. Your website must be maintained with up the minute data regarding new listings to optimize the ever-changing landscape of sellers and buyers. Once you have your initial design brought into realization that is only the start of a continuous journey. It is paramount for you to be able to keep abreast of fresh new trends and leading-edge design formats. We offer you this peace of mind as we are your access point to all your Toronto Real Estate marketing needs. At Thinkbound Marketing Solutions, we treat your individual needs with a website designed with you and for you. We will develop a custom Toronto Real Estate website design for you in a comfortable atmosphere. Our experienced staff can handle all aspects of website design from conception to graphic content as well as hosting and maintaining it locally. Call us today at Thinkbound Marketing Solutions, 1-800-564-7483 for all your Toronto Real Estate website design and marketing needs. We will work hard to earn your trust with our dedication to service.